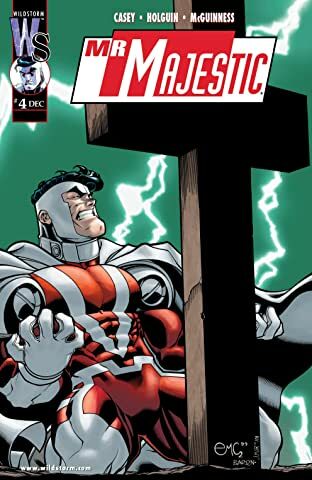 From the pages of WILDCATS, the man who may be the most powerful hero in the WildStorm Universe gets the chance to flex his biceps in his own ongoing series! 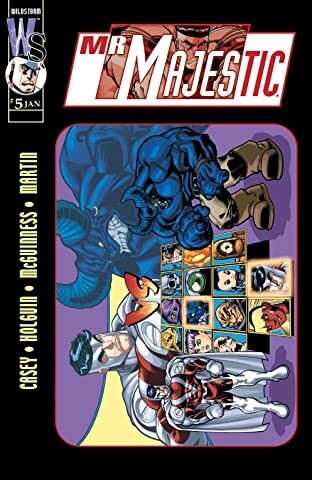 Aided only by a boy genius named Desmond, Mr. 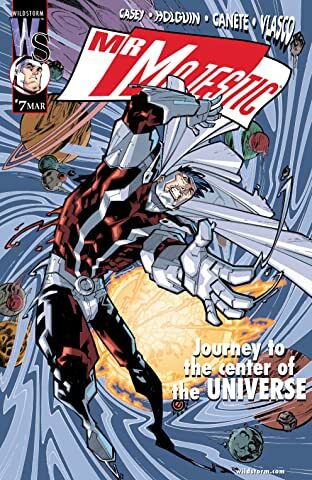 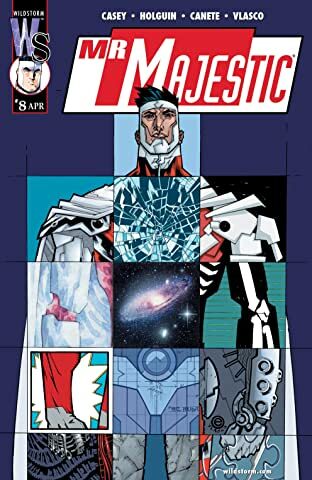 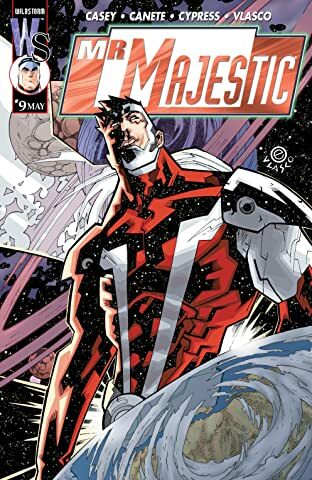 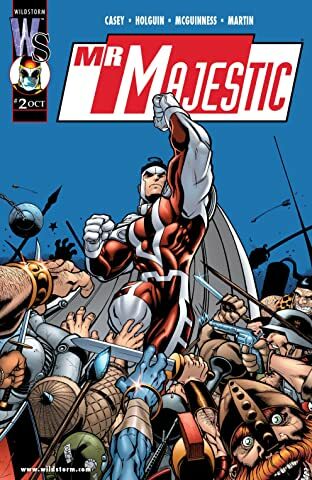 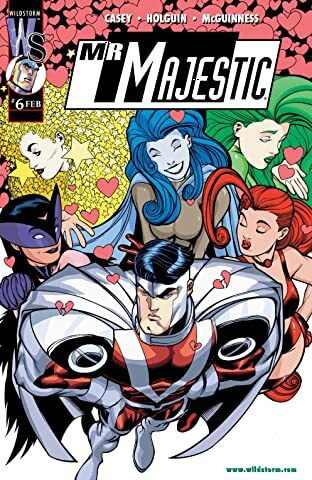 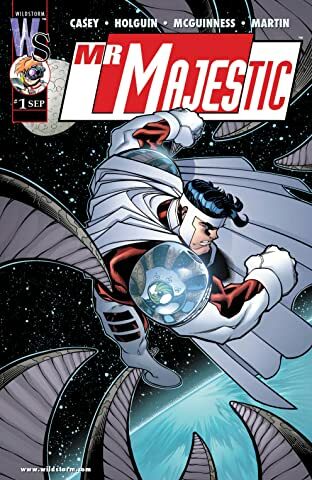 Majestic faces time-twisting, space-bending, reality-warping adventure, beginning with a cosmic-sized task bigger than any other super-hero has ever attempted. 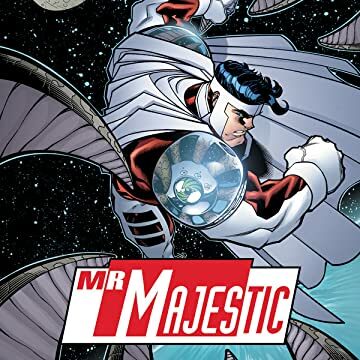 Bursting with humor, wonder and, most of all, a highly developed sense of fun, MR. 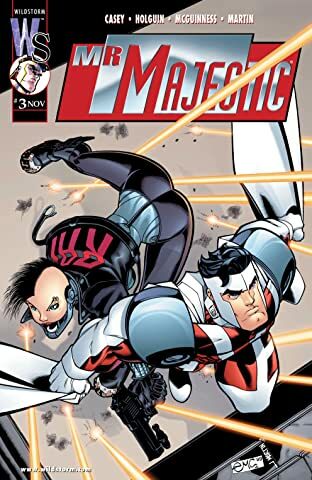 MAJESTIC is superhero action at its best and brightest!